Ricco Rodriguez joined Michael Bisping’s camp Monday night in a brief cameo appearance at the Tapout Research and Development Training Center. The former UFC heavyweight champion couldn’t stay for long due to prior engagements, so I’ll cut to the chase and say he looked great. 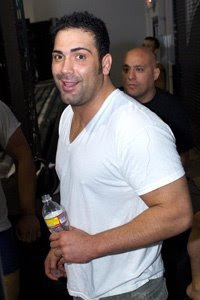 Rodriguez’s weight issues have been his main story line since he lost the title to Tim Sylvia at UFC 41 in 2003.